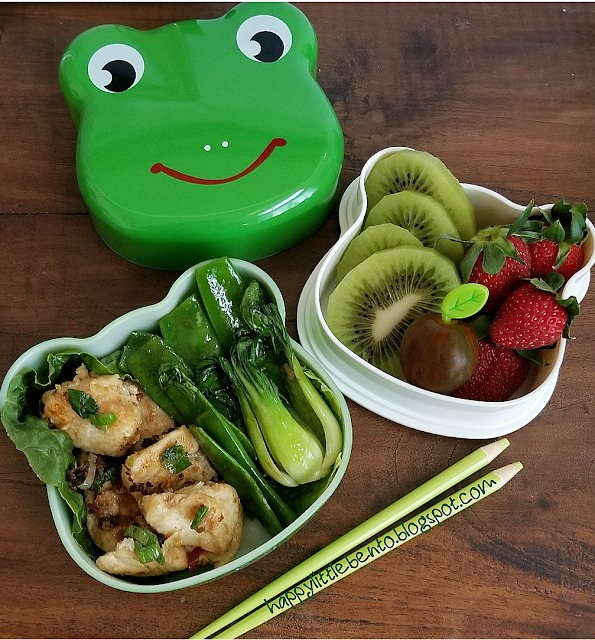 Inside this cute green frog bento: stirfried chicken, baby bok choy and peas, tomato, strawberries, kiwi. I made shamrock egg rings with green bell peppers (I looked for 4-lobed ones and sliced them about a half inch thick). You can fry the egg directly in the pepper ring and then put a lid on the pan to finish steam cooking. 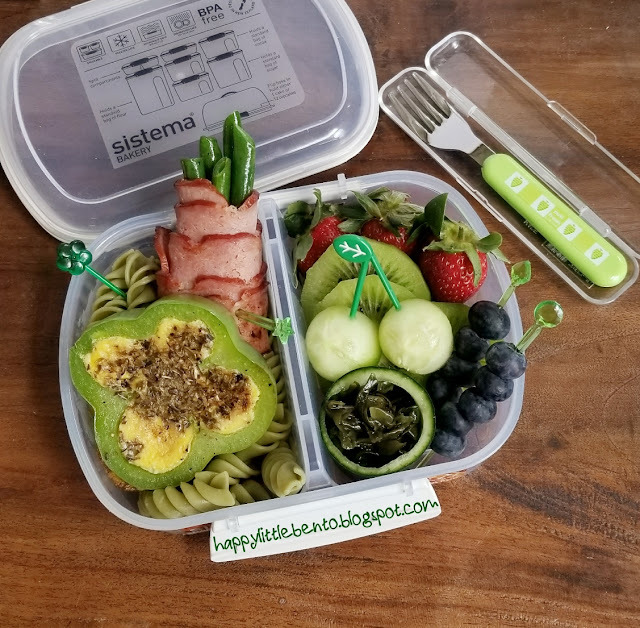 The rest of this Sistema bento contains: pesto spinach pasta, turkey bacon green bean rollups, a cucumber pot of pickled wakame (plus the cucumber balls), blueberries, strawberries and kiwi. 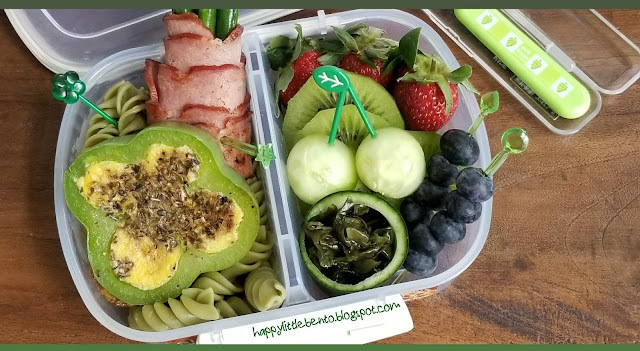 First Day of Spring Bento!